The object library is a helpful tool for simplifying the organization of your objects. The archive gives you access to all objects that you have added to it. 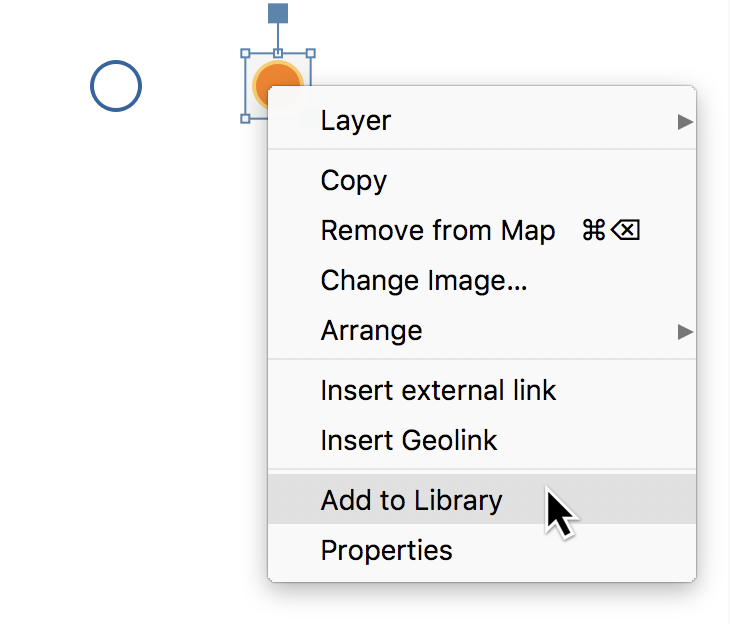 If for example, you create a specific shape, and want to have this handy for future use, simply right-click on the object and select Add to library. The newly formatted object will be placed in the library and the “Library” window will open automatically. When first opened, the library is located on the right side of the MAXMaps window. The Library window can be opened or closed via the Library button in the Start tab at any time. You will then see the library at the bottom of the MAXMaps window. You can then quickly add this object to your map by simply double-clicking on it. All formatting is the same as in the original. 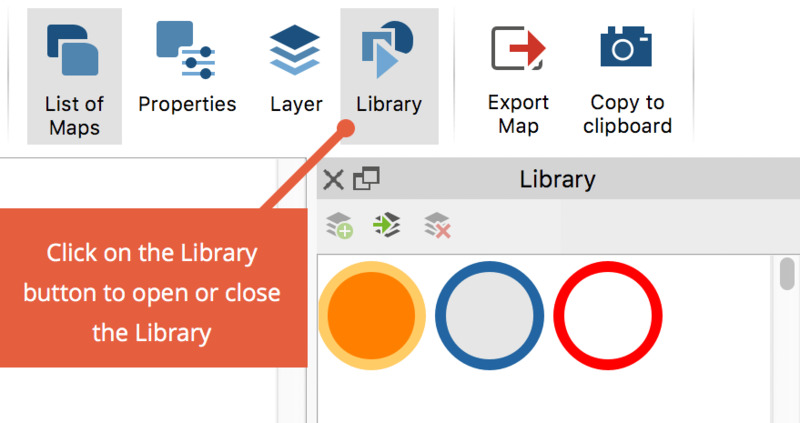 At the top of the Library window are three icons that allow you to transfer currently selected objects to the library, reinsert objects from the library onto the map, and delete objects from the library.